Search Results for "purple grapes"
Purple Grapes 1. Clusters of ripe purple grapes at a farmers market. 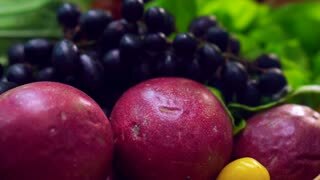 A close up detailed shot of round purple grapes. 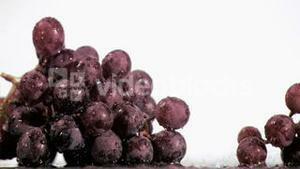 Purple Grapes falling in slow motion. Purple grapes grow on the vine at a winery. Wine Country 0102: Close up of plump ripe purple grapes on the vine in golden sunlight. Purple grapes on vine hanging from trellis in garden, with sunlight coming through.